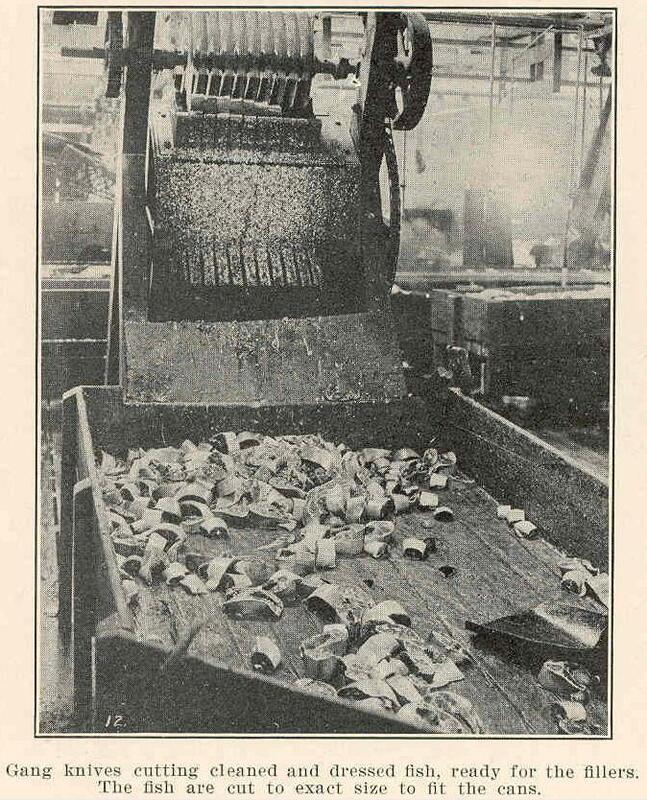 These photos were mixed in with some of the 1920s postcards and photographs that I’ve recently been posting. 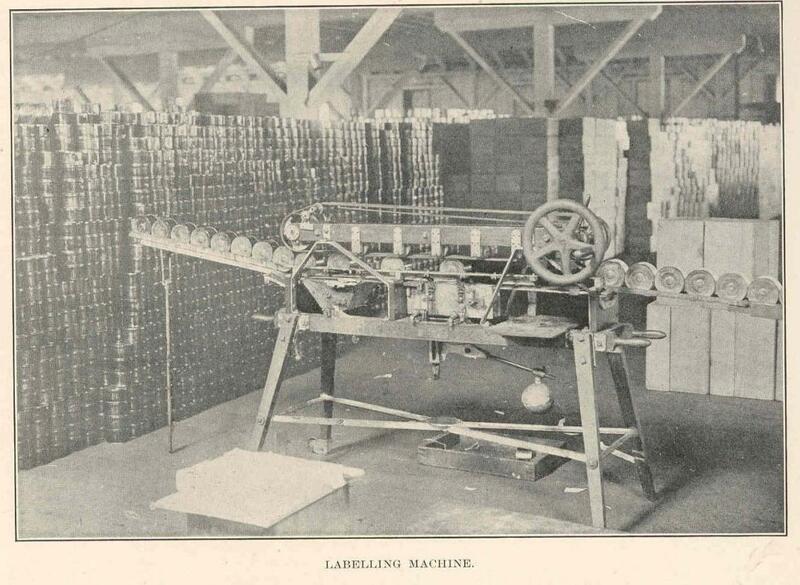 They are not labeled or otherwise identified, and the exact locations are uncertain. 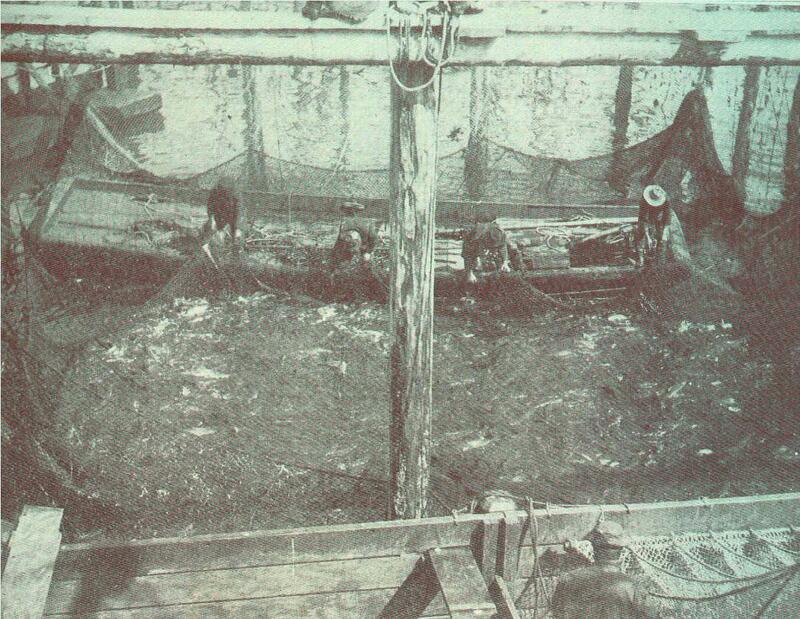 As they were included with a large amount of Funter Bay material, it is possible they are from the Funter area. 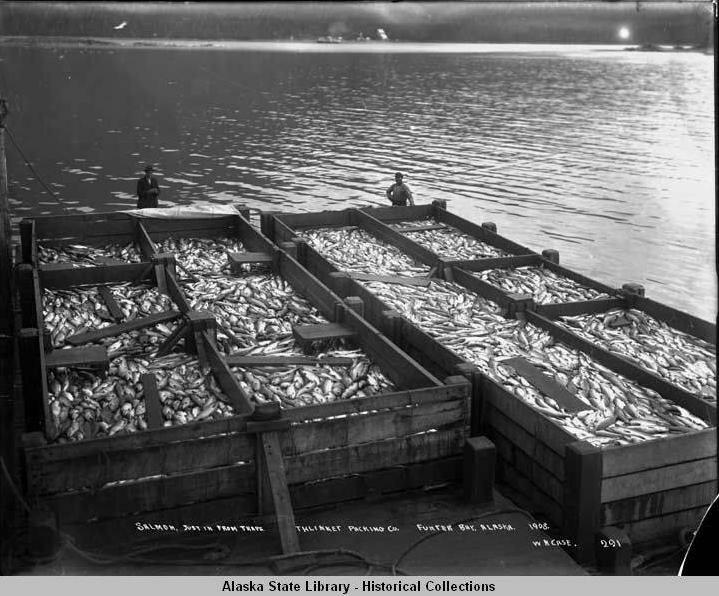 However, the same collection also had some identifiable pictures of Juneau and Taku Inlet. 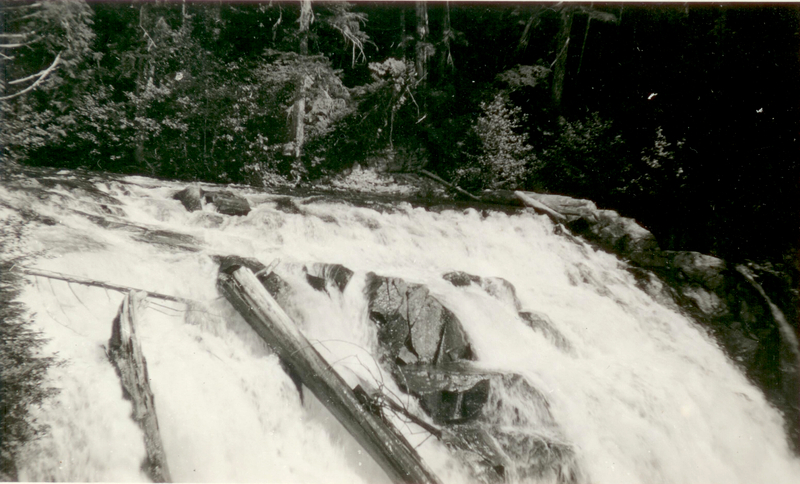 The next mystery photo shows a waterfall. 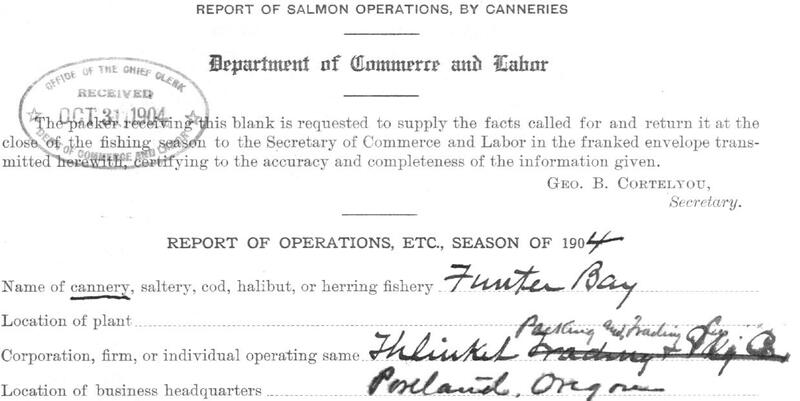 I don’t recognize this as immediately near Funter Bay, but it could be higher on the mountain or somewhere else on Admiralty Island. 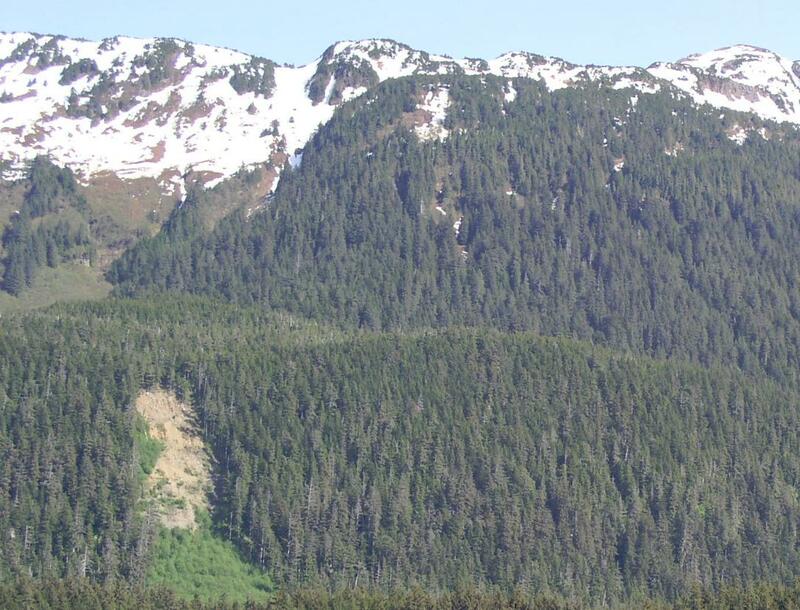 It could also be somewhere closer to Juneau. 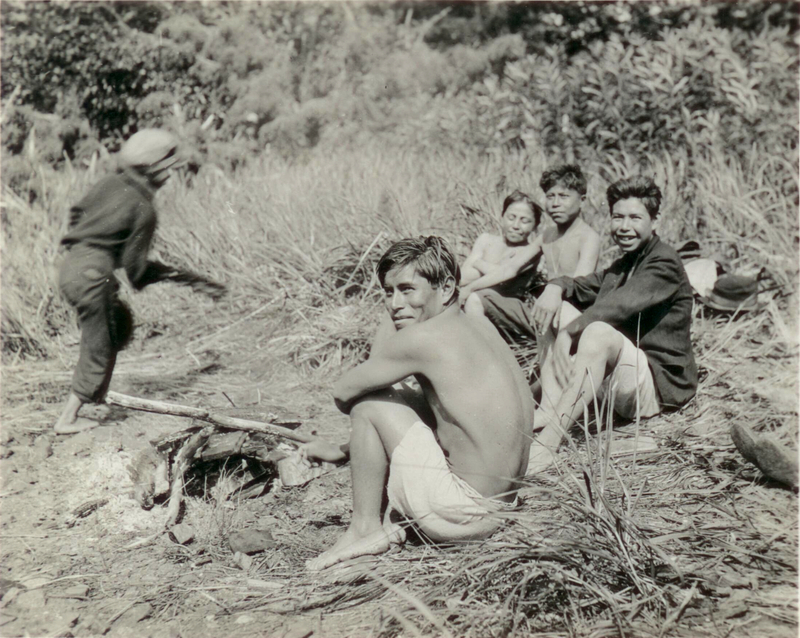 The last photo shows a group of people, possibly about to light a fire. These may be local Tlingit Natives. The setting suggests the shore just above the high tide line. If any readers have ideas or suggestions, please let me know! As usual, you can email me at gabe@saveitforparts.com. 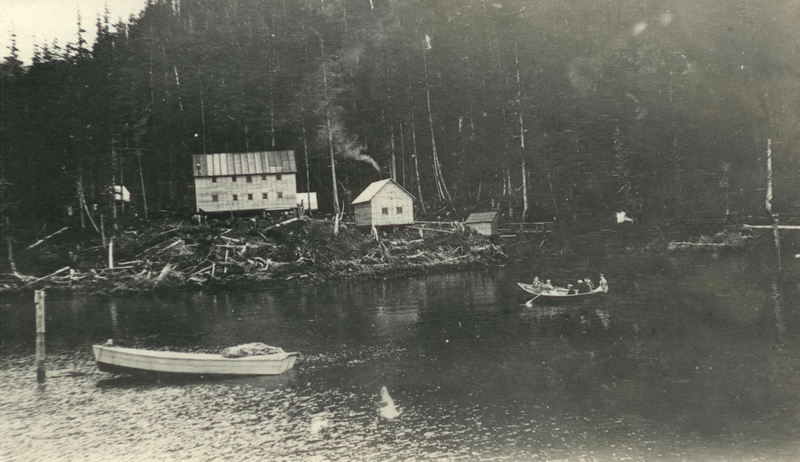 I recently acquired some photos that I believe are related to the Alaska-Dano Mine at Funter Bay, circa 1920. These needed a bit of detective work to place. 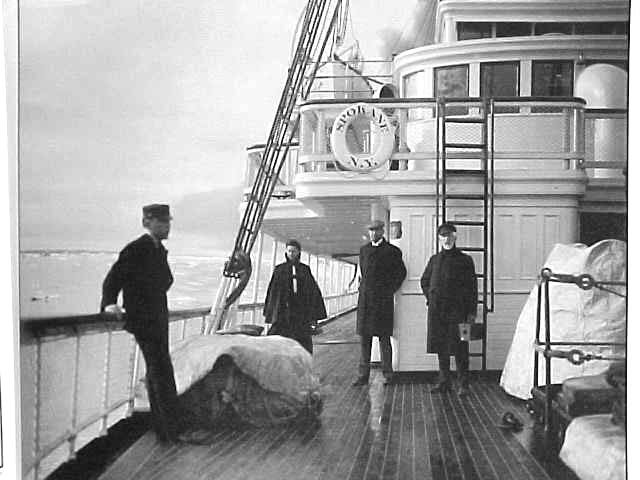 The first photo, taken at high tide, shows several buildings, a boat moored to a piling, and another boat full of people being rowed nearby. 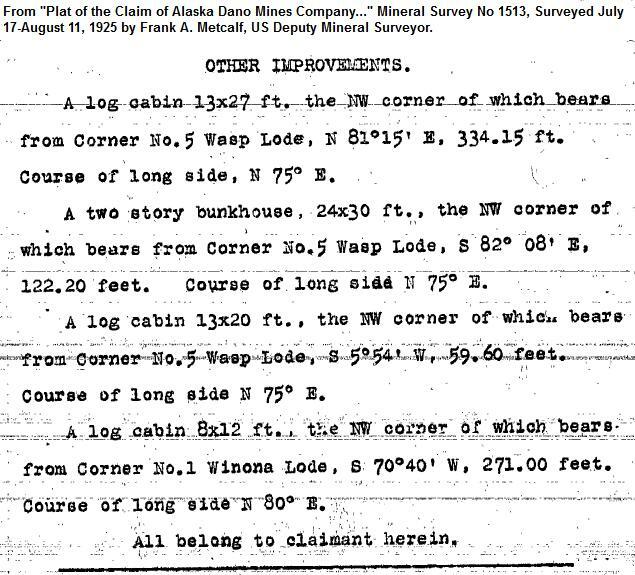 Identifying this photo required some additional research into the Alaska-Dano Mining Co’s surveys, specifically US Mineral Survey No 1513. 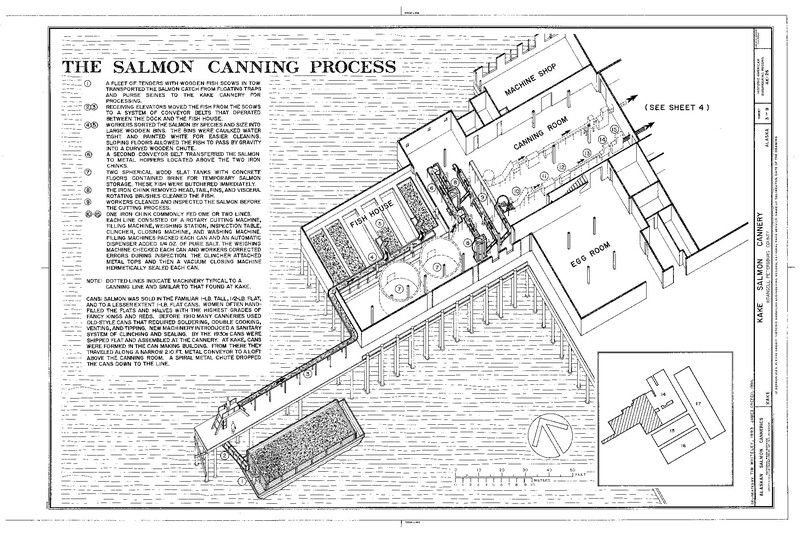 While the near-shore buildings are not shown on the survey plat, they are described in the text of the document as improvements to the property. 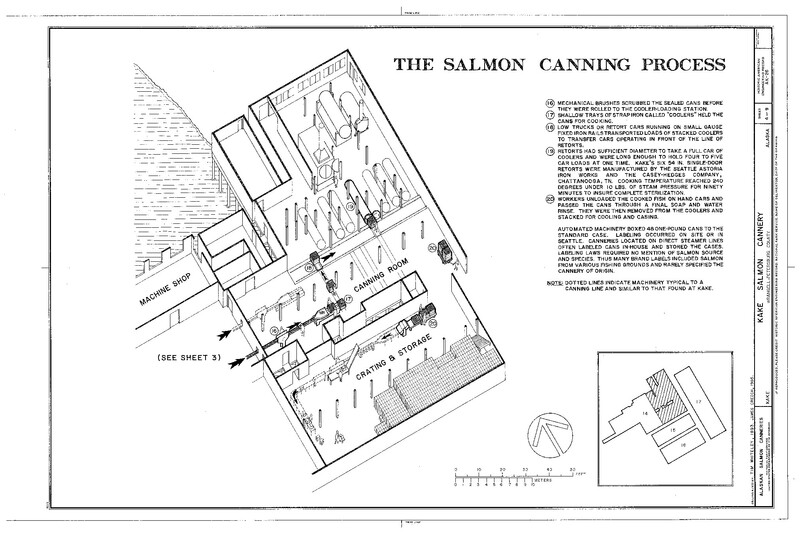 The directions in the survey are given in the 90-degree compass heading format used by surveyors, which allows the measurements to be plotted on a map. 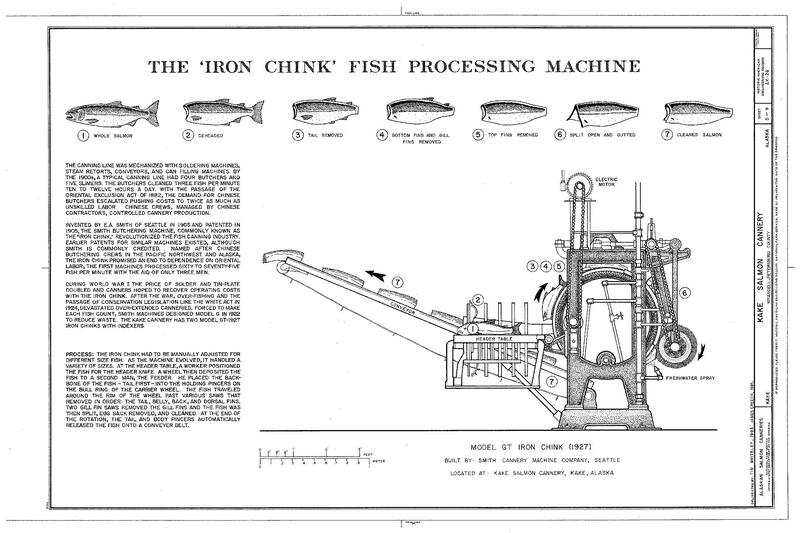 This results in roughly the layout seen below. Orange squares are buildings, with the two-story bunkhouse in the center and the two log cabins at the sides. The 4th log cabin mentioned was farther up the mountain. Both of the frame structures in the photo seem to be built directly on tree stumps, a cheap and easy (if not long-lasting) foundation. 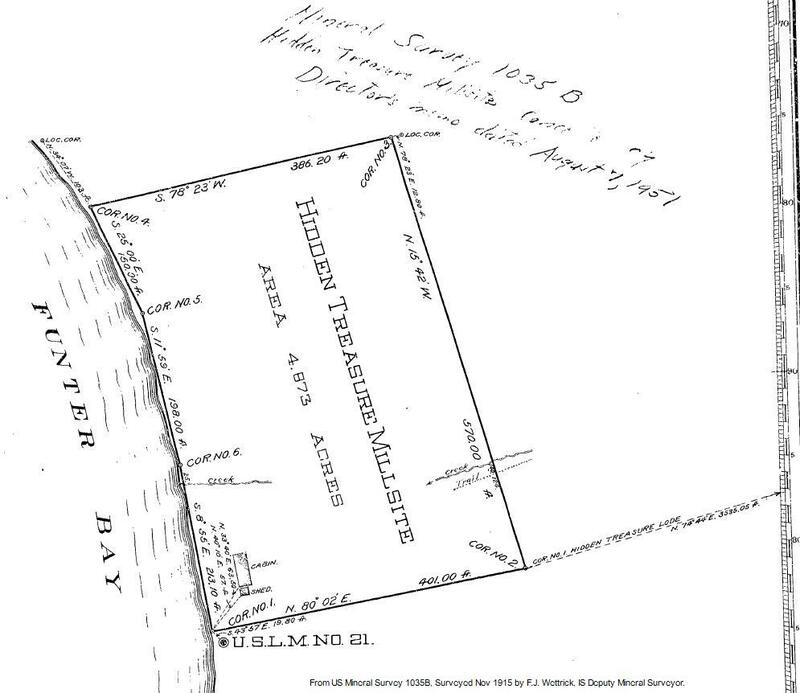 The smaller frame building in front of the bunkhouse does not appear on the survey, so it may not have existed at the time (built later, or burned down prior). I would guess this to be a tool storage or workshop building. The smaller structure farther to the right is likely an outhouse, and the white structures behind the bunkhouse could be wall tents. 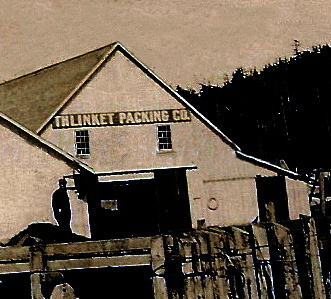 A two-story bunkhouse such as this indicates more than a few workers, structures of similar size at other mines housed a dozen or more men. 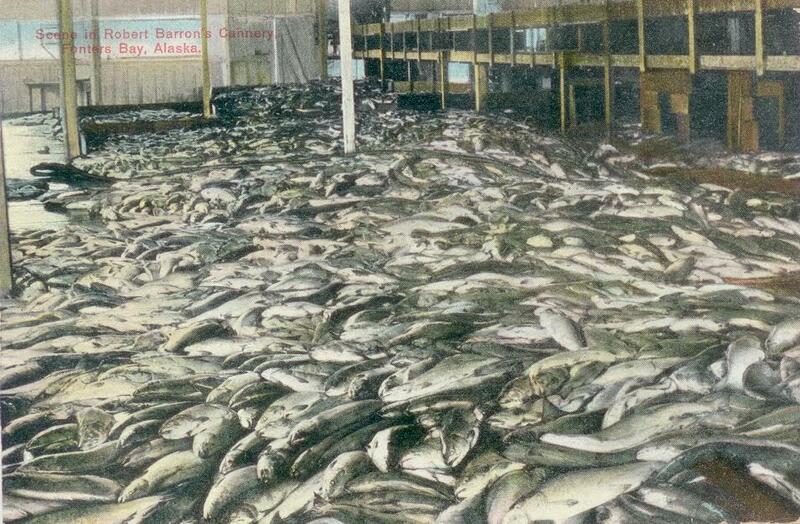 (A photo from Katalla shows what the inside of an Alaskan bunkhouse might look like). A kitchen was sometimes located in the bunkhouse, although separate mess tents were also common to reduce fire hazards. 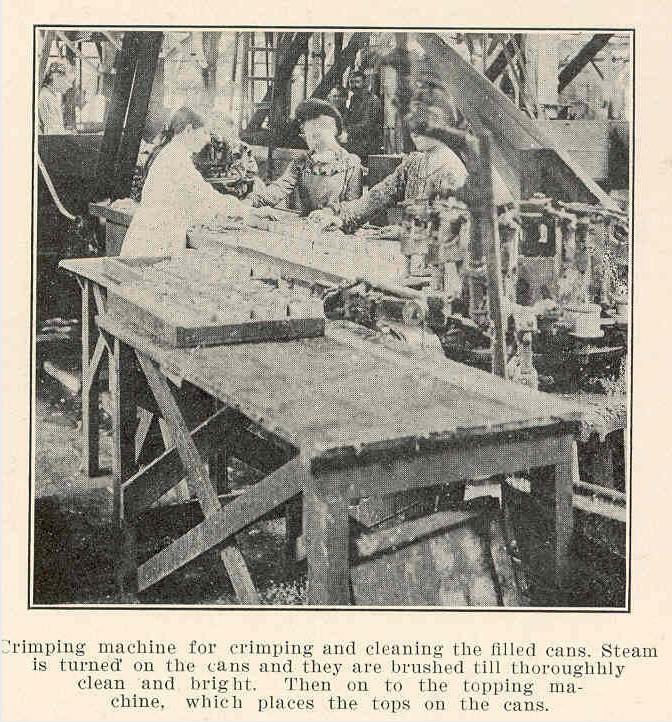 Mine camps also usually had a blacksmith shop, an assay office where drill cores and samples were evaluated, and sometimes separate cabins for the owners or management. Stables for any horses or mules might also be found nearby. Despite the different number of structures shown on the survey, I believe the photo matches the Dano Mine’s camp pretty closely. In addition to the two-story bunkhouse, the rise of land (tree tops) in the background matches the rise behind and to the right of the surveyed location. 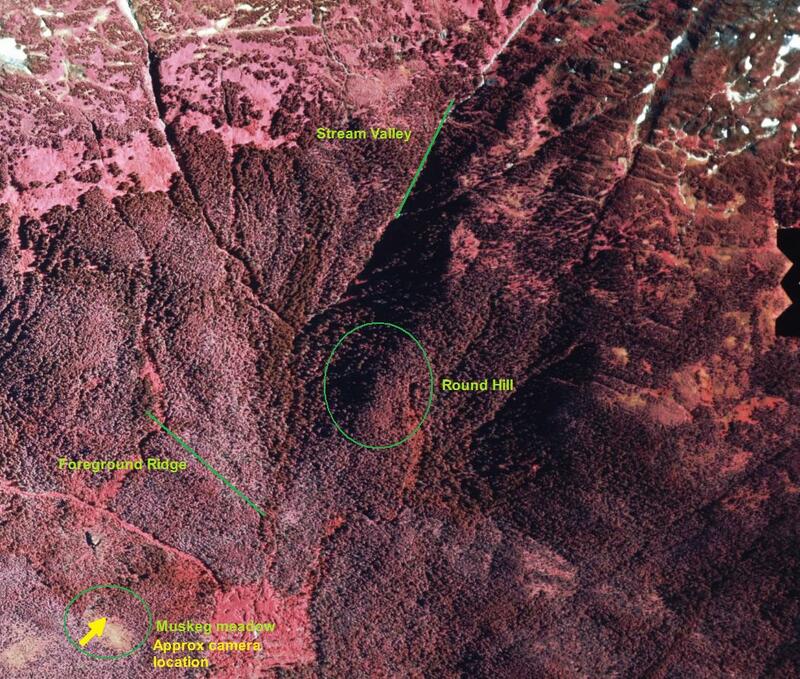 Towards the top of this rise are found shafts and artifacts from the Dano Mine, and farther back is the first tunnel (seen collapsed in my earlier post), likely the “Little Pete” tunnel. The shoreline is fairly generic, but would match this location at high tide. 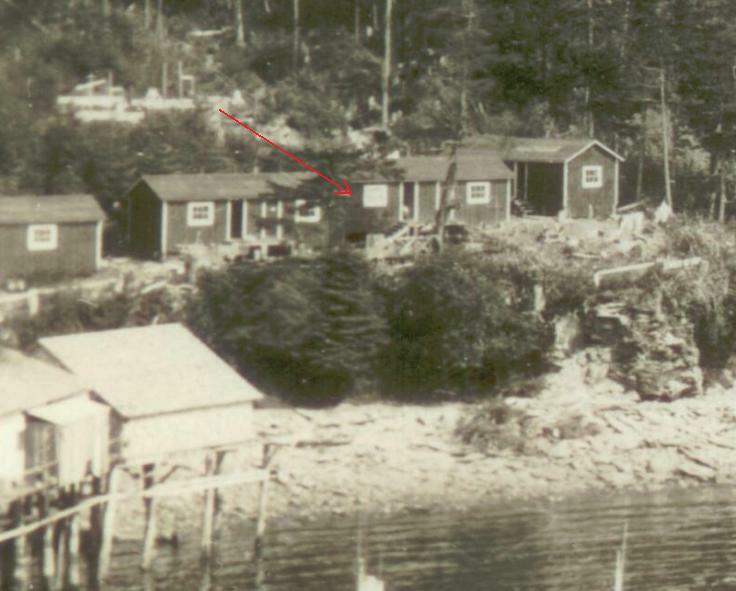 Additionally, a slightly earlier and more distant view of the Dano Mine’s shore camp seems to show a large structure in approximately the right place to be the bunkhouse. 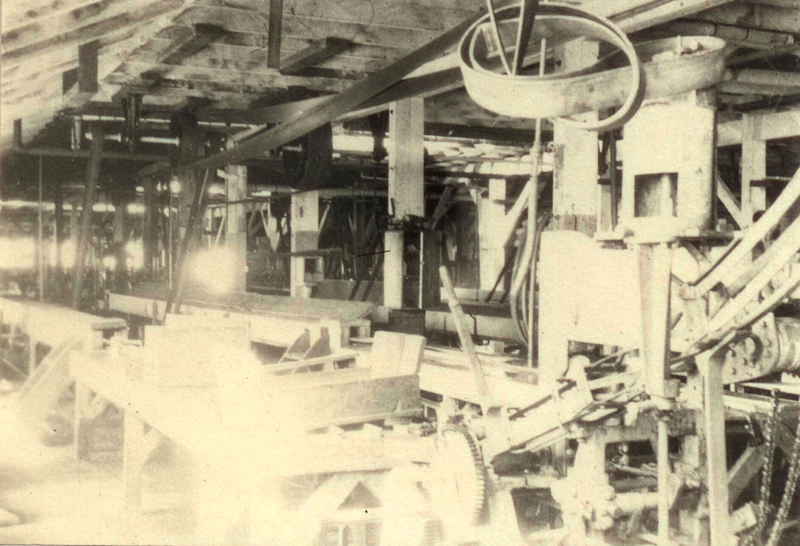 The other frame structure did not seem to exist yet when this photo was taken (1919). A smear of light-colored material to the right is likely mine tailings from the tunnel and shafts. 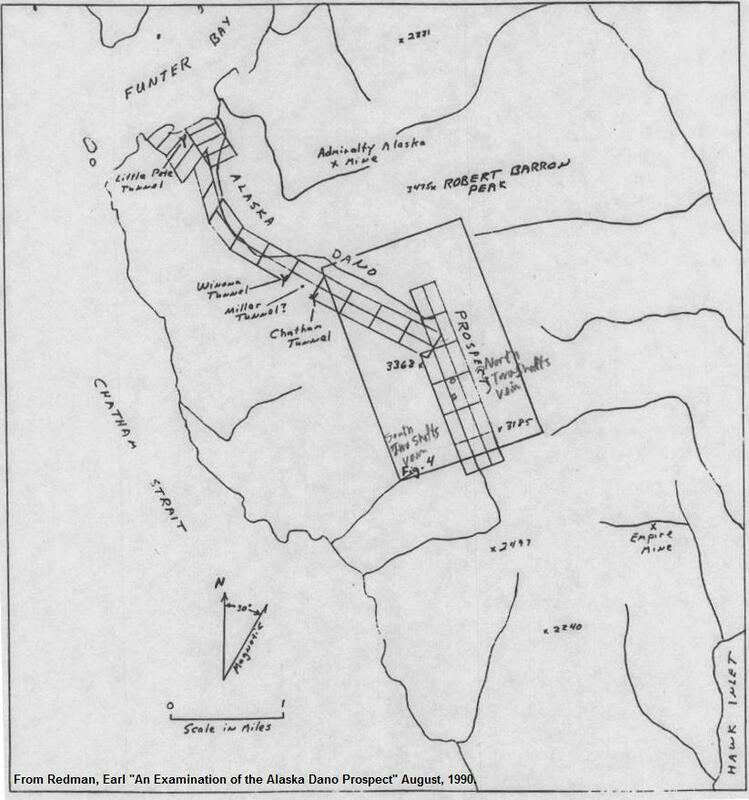 Below is another map of the Dano claims (rectangles) with some of the tunnels labeled. The curving lines are streams. 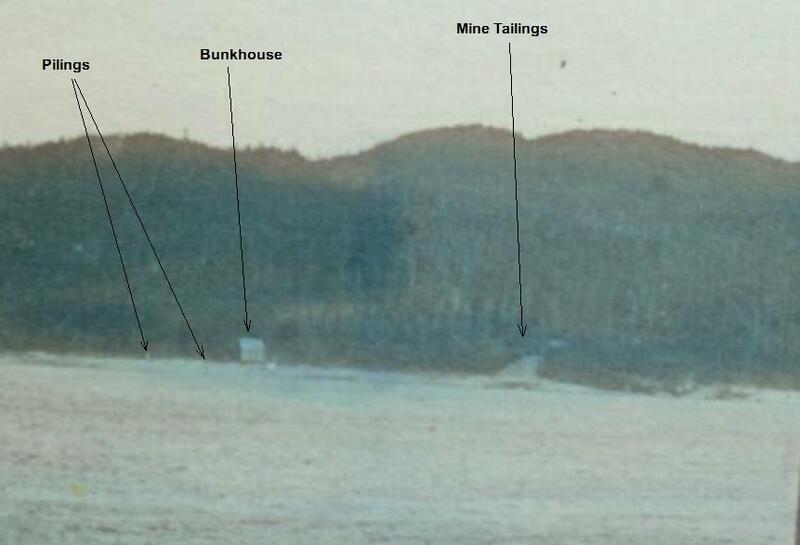 The next historic photo appears to be farther back from the beach, towards the Alaska Dano’s other tunnels near the base of the mountain. 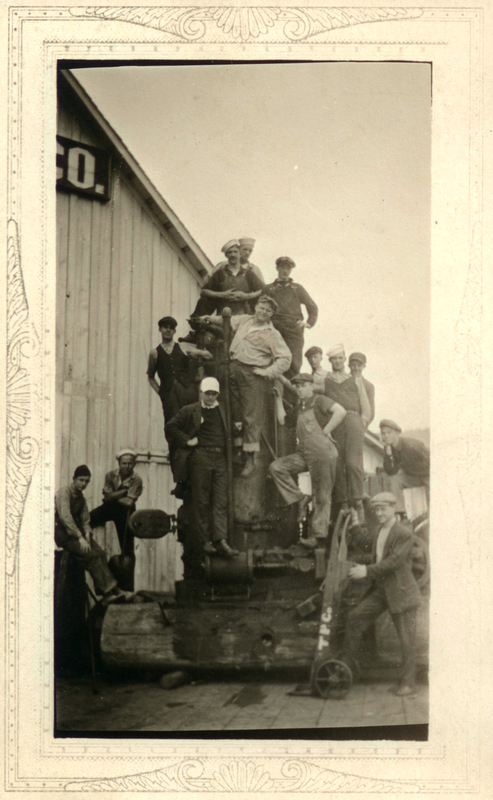 This photo is not at any of the mine workings, so the people could be on a trail to the mine or on a hunting trip. 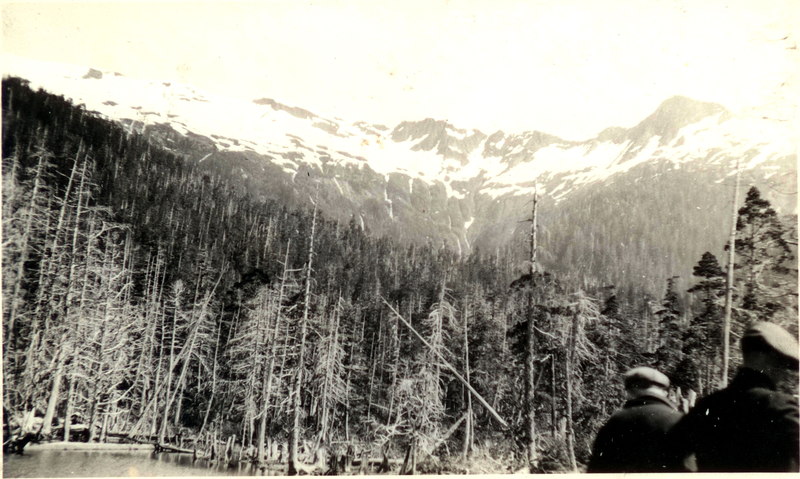 They seem to be standing in a muskeg meadow with some swampy water in front of them, looking towards a nearby ridge with a mountain stream in the background and a round hill between. Identifying the exact location required a little more photo analysis. Below are some crops from a 1982 infrared aerial photo of Funter Bay, which helps to identify some of the terrain features in the older photo. This is a best guess based on my knowledge of the area and interpretation of the photo. 1982 CIR aerial courtesy of US Geological Survey. Lastly, this photo seems to be looking North from near the Dano beach camp. The hills in the background seem to match the terrain behind the cannery, which is just barely visible along the far shoreline to the right. 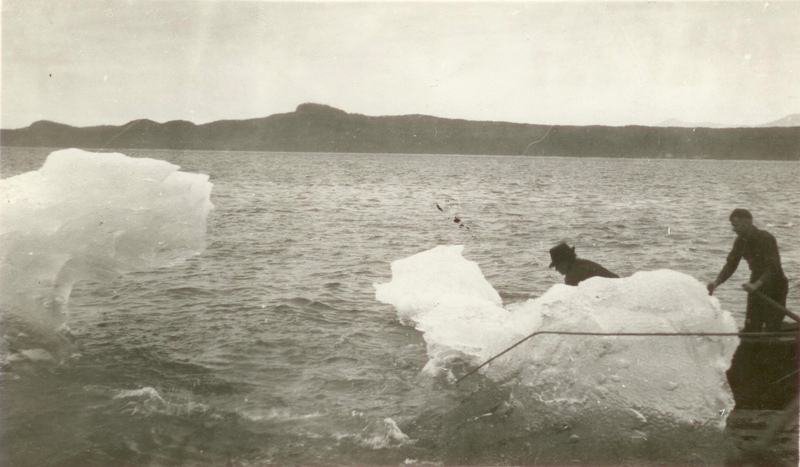 Several men in a rowboat are roping an iceberg, maybe for use in local cold storage rooms or iceboxes. Summer icebergs used to be common sights along the Inside Passage and even in Downtown Juneau, but as the climate warms and glaciers retreat, they are much rarer today. 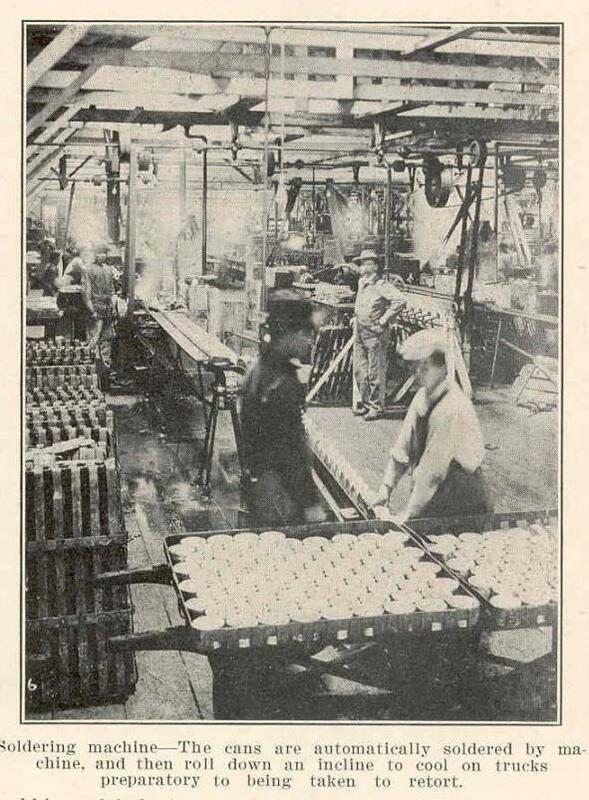 Unfortunately I don’t have any more information on these photos, such as the name of the photographer(s) or any of the people shown. 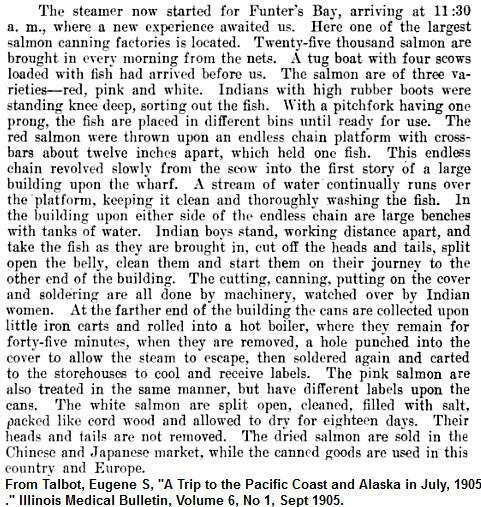 Its possible some of these are related to a group of Seattle high school students who visited Funter Bay in 1919. If any readers happen to know more, I would love to hear about it! The Juneau-Douglas City Museum recently posted a 1929 aerial image of Funter Bay, and gave me permission to use a high-resolution scan. This photo was taken by Frederick Ordway, “Alaska’s Flying Photographer”. 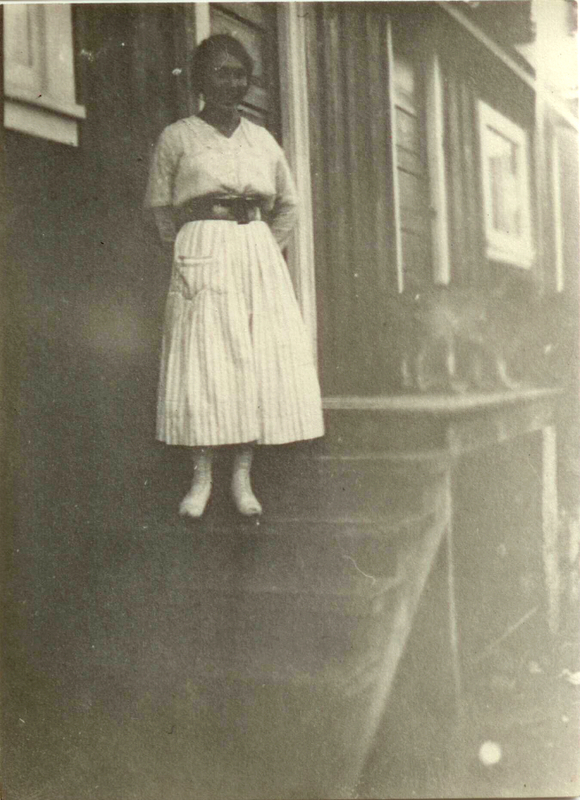 Ordway opened a photo shop in Juneau in 1927 and was known for photographing many Alaskan subjects. 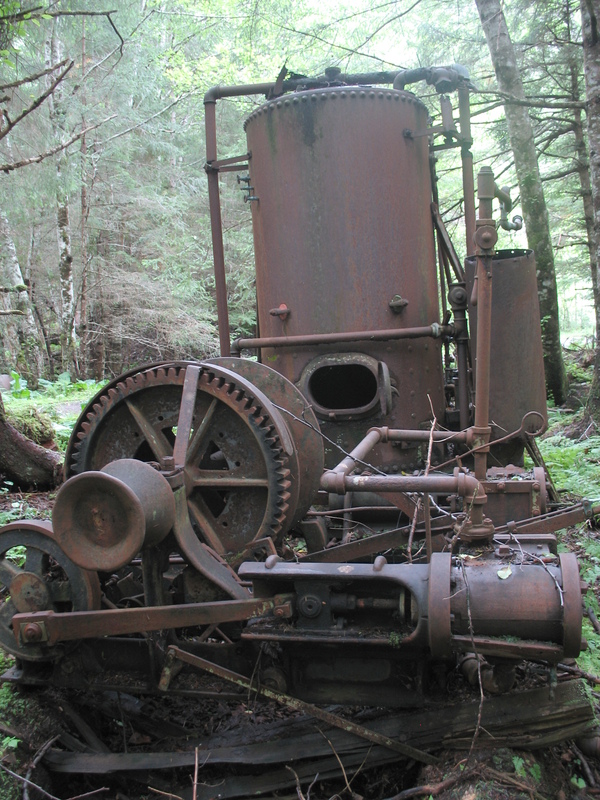 He died in 1938 in in a crash in Oregon. 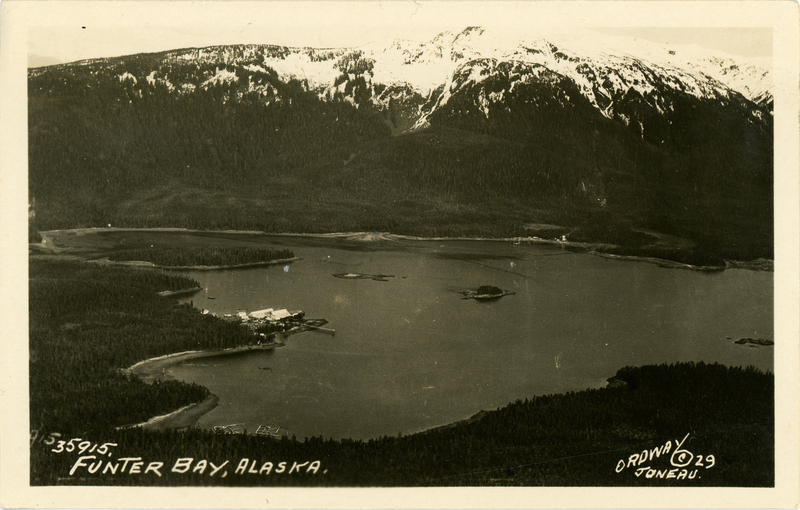 Funter Bay, Alaska Postcard, 1929, photograph by Fred Ordway. 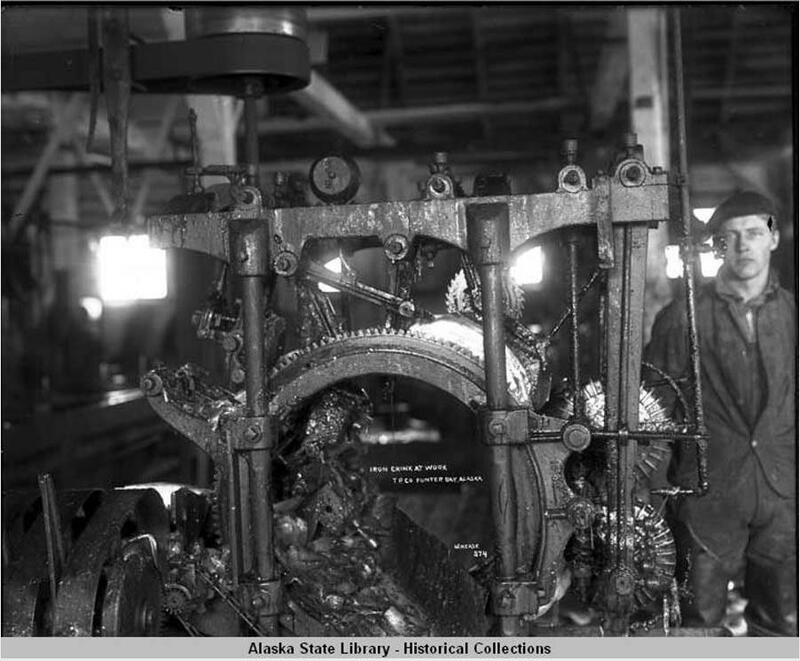 Image courtesy of the Juneau-Douglas City Museum, JDCM 88.45.001. Mount Robert Barron dominates the skyline in this image, showing nearly its full 3,475′ elevation (the very top seems to be cut off by the edge of the photo). 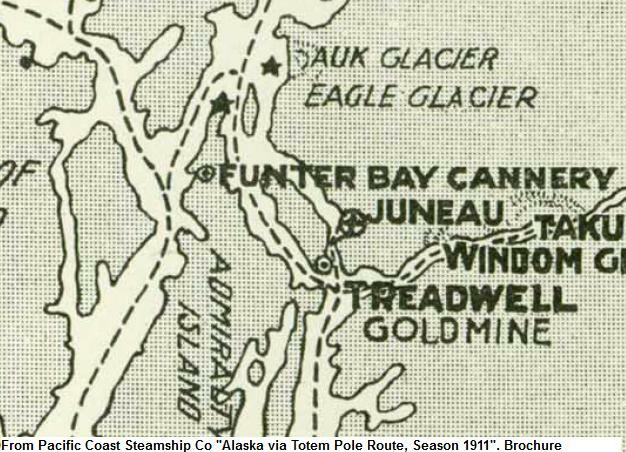 The cannery is seen in the middle left, with Coot Cove (“Scow Bay”) in front of it. Across the bay is the AAGMC mine camp. 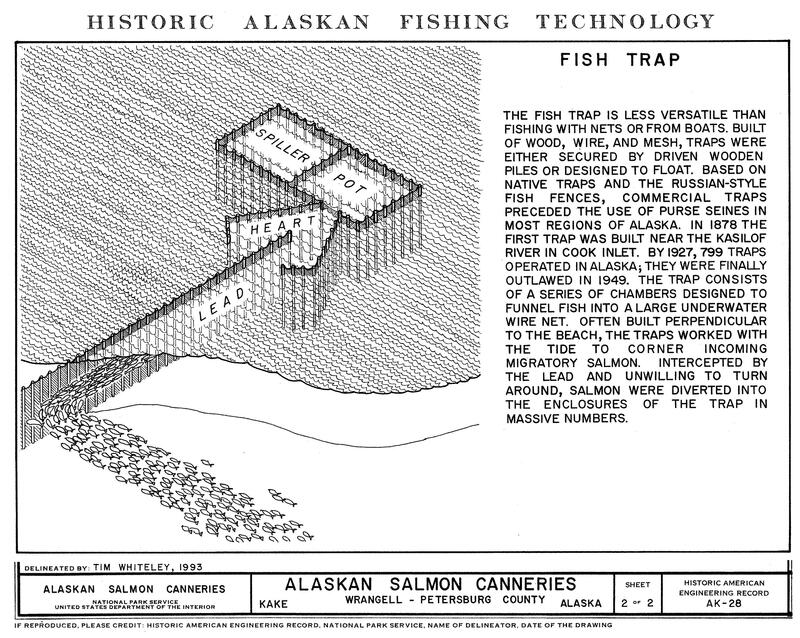 Floating fish traps are visible in the foreground, just above the title text. These would be moored in a shallow area for winter storage, to prevent storm damage. The view looks a little different today, as a section of the mountain experienced a landslide in the 1990s after heavy rains. 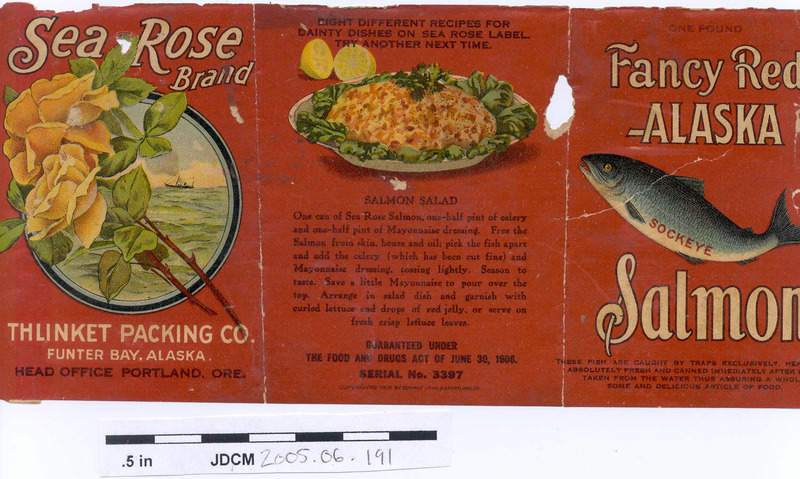 Another interesting feature from the 1929 postcard is visible in Crab Cove beyond Highwater Island. 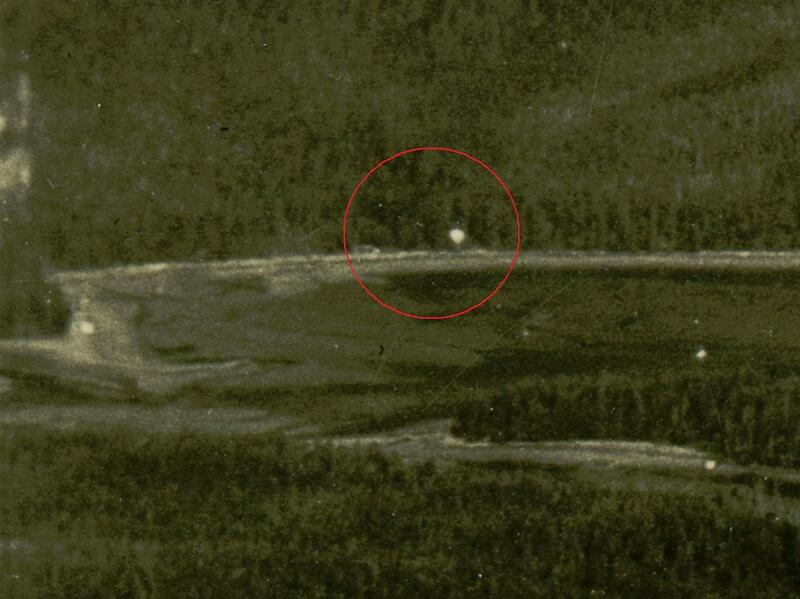 This white blob is in the right location to be the camp of the Mansfield Mine. 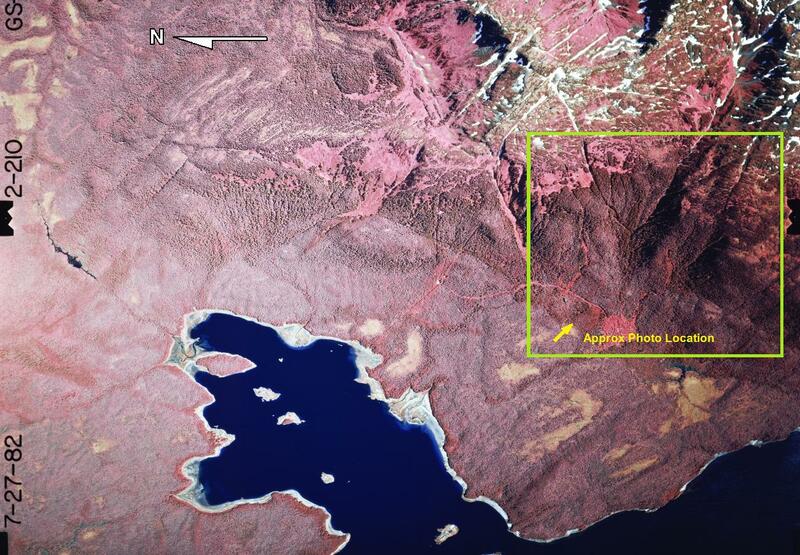 I have not previously seen this mine photographed, so despite the lack of detail it’s still an interesting white blob! 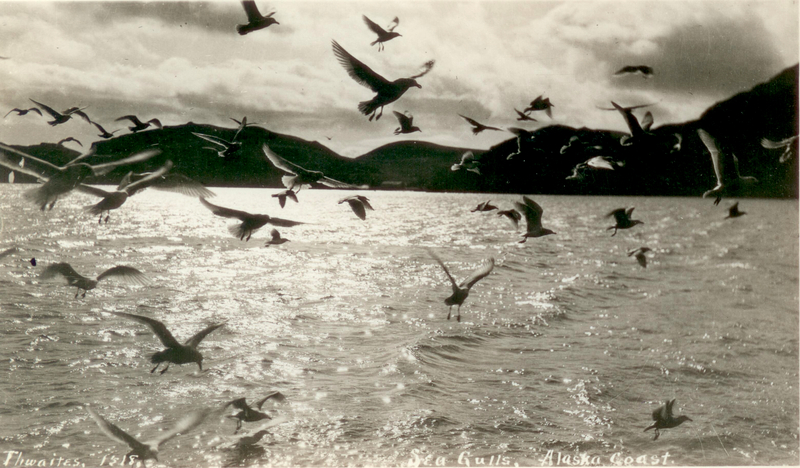 Close up of Funter Bay, Alaska Postcard, 1929, photograph by Fred Ordway. 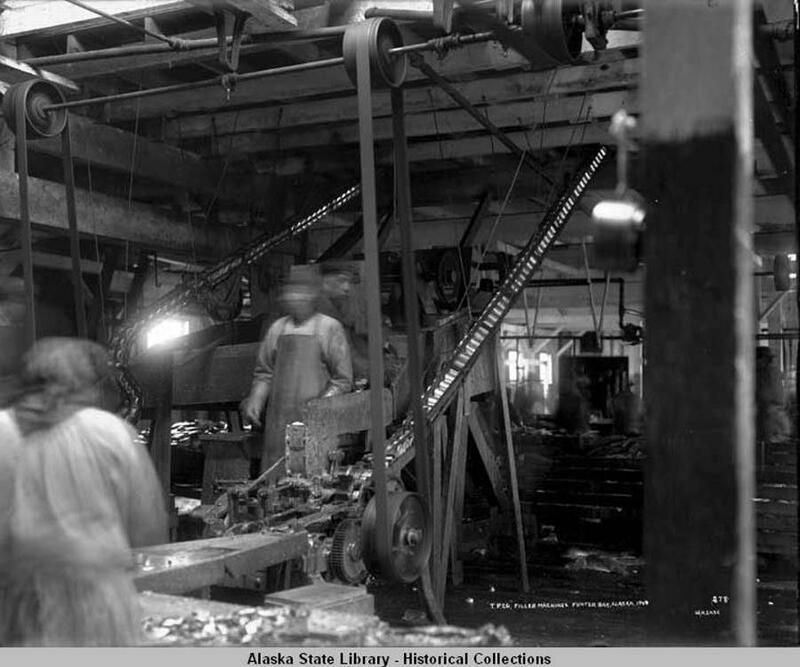 Image courtesy of the Juneau-Douglas City Museum, JDCM 88.45.001. 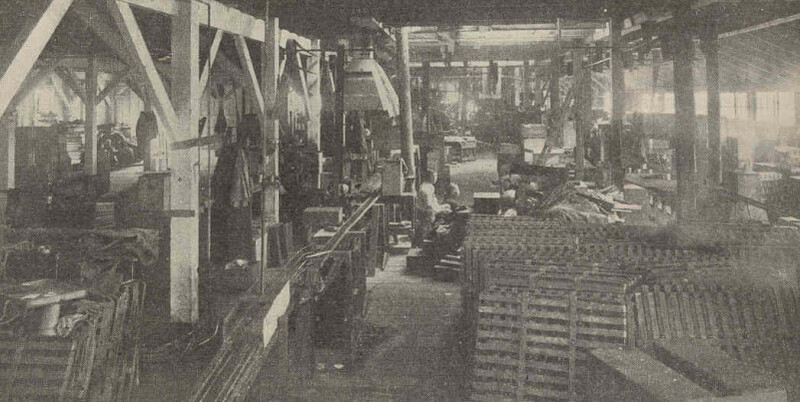 A survey from 1915 shows the Mansfield Company’s “Hidden Treasure Millsite”. The land claim seems to have been cancelled or denied, as it does not appear on master title plats for the area (it overlapped some other mineral claims). Unfortunately the accompanying field notes are largely illegible, so there are no details about the size and construction of buildings. 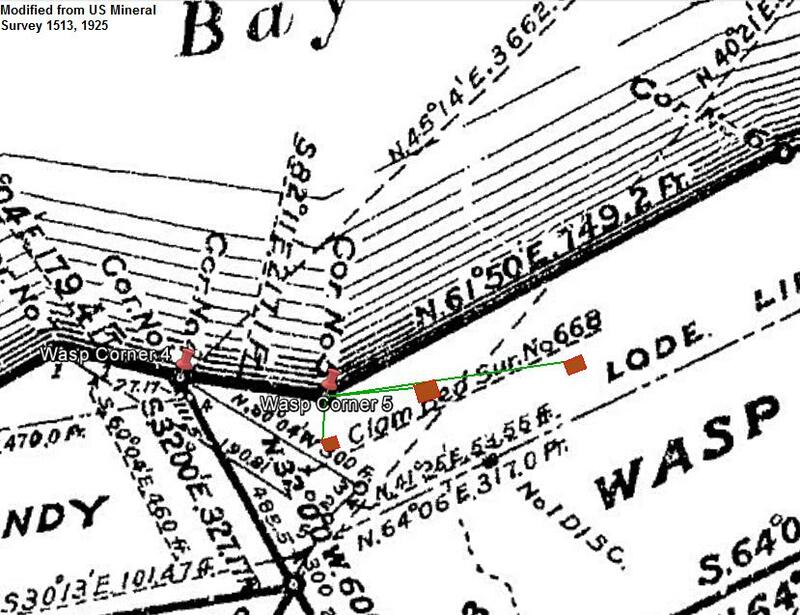 The survey plat for MS 1035B shows a cabin and shed near the location photographed above. Today all that remains of the Mansfield camp is a faint rectangle of decaying logs where the cabin and shed used to be. Anecdotal evidence describes a stable for pack mules at this location. 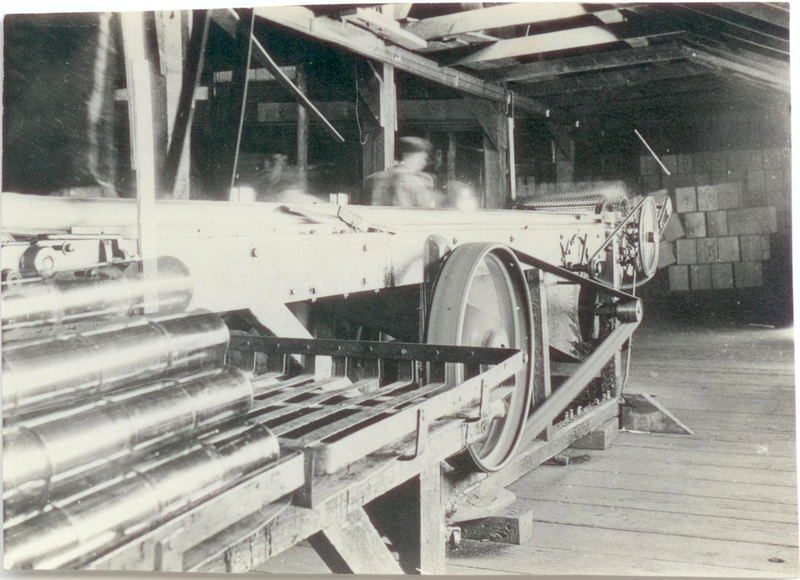 The Mansfield Mine hauled some equipment up to their tunnel site, including track and a single ore car, seen in a previous post.